Snap is laying off around 100 employees that are part of its engineering staff, according to multiple reports from CNBC and Cheddar. The company expects to lay off as many as 100 people in the engineering department, according to those reports. It’s another sign of potentially re-aligning efforts as it looks to remake itself into something that’s differentiated from products like Instagram, which is repeatedly copying many of Snap’s core features like Stories. 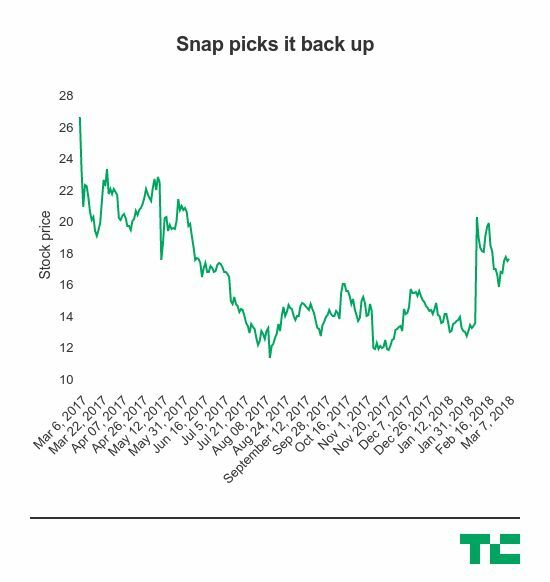 With that constant risk of copying at stake, Snap has had to make some drastic moves, like re-design the app to bucket together certain use cases in certain screens and hopefully keep users coming back over and over again. In February, Snap CEO Evan Spiegel basically said the app’s redesign is here to stay and that users just need to get used to how the new app works and feels. Spiegel has said over and over that Snap is a camera company, and appears to be trying to keep that the case as there is reportedly a redesign of its Spectacles camera glasses in the works. But that may require rejiggering of the teams working on it, and layoffs often come as a result of trying to recalibrate the expectations and investment in certain areas of the company. The company is coming off a significant quarter that’s led the stock to skyrocket, paring back some of the significant losses it sustained through 2017 after it went public. But the company is still worth around $22 billion, which is now lower than Twitter’s market cap. Snap has given up a lot of the gains it got from that earnings report, though it still appears to be in better shape than it was last year. The company has struggled to show growth and that it can continue to snap up new users, with its pitch being that it can keep users around for much longer and keep them much more engaged. Snap in January laid off around two dozen employees, and rounds of layoffs like these can happen when a company is trying to set itself up for a new direction — now that it has a responsibility to public shareholders that may require some significant moves to outmaneuver competitors like Instagram. Amid all this, there appear to be some positive signals for Snap regarding growth despite the significant redesign and a lot of backlash over it.